When I first moved to the neighborhood adjacent to the Armory property in North Boulder, I was put off by the military presence: the big trucks, the high fence topped with barbed wire, the bright floodlights at night. But I soon began to overlook all that and appreciate the relatively open space. I enjoyed waking up in the morning to the chirps and whistles of the prairie dogs, became familiar with their daily routines, and looked forward each evening to watching one small family line up in front of their burrow, all facing the same direction towards the setting sun. I now think of these prairie dogs as neighbors and that is why I feel so heartbroken and angry to discover that the developers for the Armory Project have submitted an application to the City of Boulder for a lethal permit that will allow them to kill this historic prairie dog colony if the City of Boulder does not approve an available re-location site within three months. Somehow this healthy, hardy, and resilient prairie dog colony has managed to survive for decades as more and more of their land has been taken for development, leaving them imprisoned on this barren, weed covered, eight acre square of ground surrounded by paved streets, cars, homes, restaurants, and manicured parks and lawns. I know it’s been tough for them. They don’t have enough space or enough to eat and they have nowhere to go. And it’s not like prairie dogs are prolific breeders. They only breed once per year and each female is fertile only for a day. It’s especially tough for these prairie dogs in early summer when the young males are forced out of the colony to find new homes elsewhere. I see them standing up on the curb on Broadway trying to cross – but even if they could safely cross, where would they go? There is no place for them to go. Prairie dogs have historically had a bad rap. In the early part of the 20th century, the U.S. government sponsored prairie dog poisoning programs to reduce competition with livestock and farmers. This program, which continues today, peaked in Colorado in 1921 when approximately 80,000 acres of prairie dogs were poisoned. Out of an estimated 100 million acres of former black-tailed prairie dog colonies, only about 2% remains. Even in Boulder County, with its reputation for being thoughtful about open space and biodiversity,1513 prairie dogs were killed by trapping and 10,619 burrows destroyed by gas or poison on county lands in 2015 alone. Colonizers of this country have exterminated most of the indigenous people, flora, and fauna that once existed on the land we now call home, and we continue to chip away at the remaining pockets of biodiversity we have left. Yes, the situation is complicated – after all, the building I’m living in was built at the expense of prairie dog habitat. But unless we continue to look and re-look at our priorities for land use in the face of an ever-growing human population, one day a line will be crossed and there will be no prairie dogs and none of the species dependent on them. Prairie dogs are the coral reefs of the prairies, and we lose far more than this one species when we allow large blocks of undisturbed prairie dog habitat to disappear. Prairie dogs are considered a keystone species; many other species depend on them for survival, such as burrowing owls, horned larks, badgers, black footed ferrets, raptors of all kinds, and other types of plants, birds, and animals, many of whom are already in serious biotic decline. The Armory project developers say they have looked for a year to find a re-location site for the prairie dogs without success. But I discovered it doesn’t take a year to look for a re-location site – it takes only a few phone calls to find out there are no re-location sites for prairie dogs – at least that’s what government officials say. There is no place for them to go. Here’s how it rolls out: The state of Colorado has a law that prairie dogs cannot be re-located outside of the county without the permission of the receiving county’s commissioner. Every county commissioner says no. 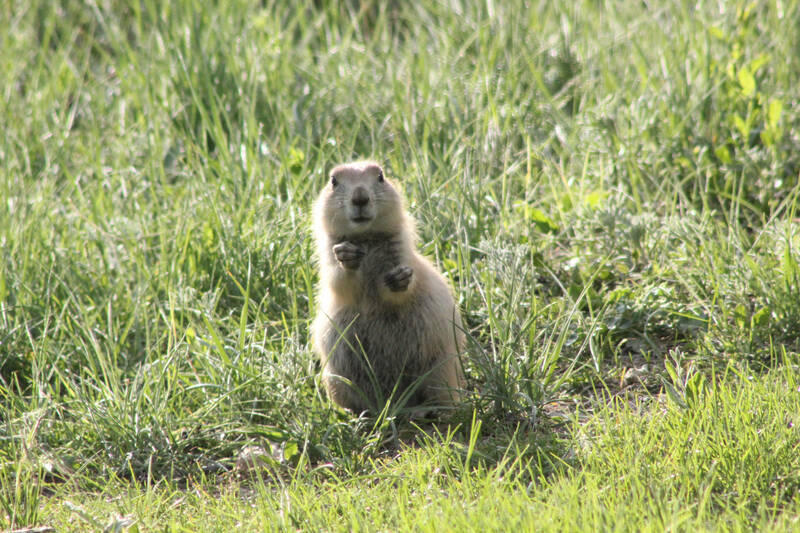 Private landowners do not want prairie dogs on their land. Boulder County Parks and Open Space, as already mentioned, kills thousands of prairie dogs a year and will not accept prairie dogs from City of Boulder lands. The City owns approximately 24,000 acres of grassland, a majority of which are leased out for agricultural purposes. The City states they have no space for the Armory prairie dogs either. According to Val Matheson, the Boulder Urban Wildlife Coordinator, the City already has 697 acres of prairie dog colonies that need to be re-located in 2016 – 2017. None of these colonies are imminently in danger of being destroyed, however most of them are considered to be in conflict with agricultural interests. According to the City, this year there are only 16 acres of City land available on which to re-locate prairie dogs. Unless the City revises their prairie dog re-location plans within the next three months to include the Armory colony, there is no place for these prairie dogs to go and continue their existence. The City of Boulder prides itself on being a leader in managing wildlife, and the City’s 2009 Grasslands Ecosystem Management Plan reflects their good intentions. 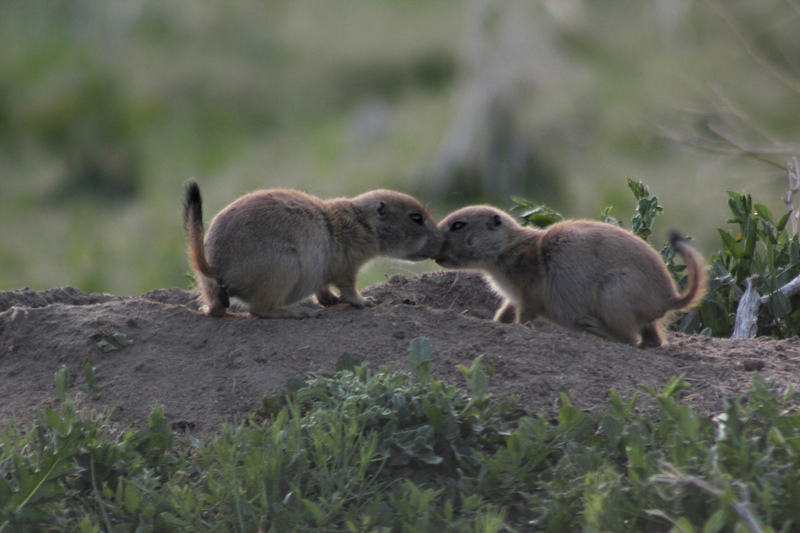 The plan states: “By 2019 establish prairie dog, prairie dog commensal, and prairie dog predator levels and distributions within range of acceptable variation.” One key indicator of reaching this goal is identified as a prairie dog occupancy of 10–26% on grassland preserves. Another key indicator is the number of commensal species and predators on prairie dog colonies, including burrowing owls, horned larks, badgers, bald eagles, and rough-legged hawks, all of which require large prairie dog habitats for their survival. I have requested data on the City’s progress in meeting these and other indicators that show the City is making progress on reaching their prairie dog habitat goals, but have received no information yet. Boulder was also recently selected as one of five cities to pilot the Humane Society’s Wild Neighbors Program whose goal is to find alternatives to euthanasia in dealing with urban wildlife. The City’s answer to how the killing of the Armory prairie dogs complies with this initiative is to say that the City already has a six-step decision making protocol for managing prairie dogs on private and public property – the last step being “apply poisons (fumitoxins) to the burrows.” But the bottom line is that without available land, without re-prioritizing how City open space grasslands are used, without a place for prairie dogs to go, of what use is a six-step or even a twenty-step protocol? The end result is the same. There is no place for the prairie dogs to go. The Armory prairie dog colony is a small colony. In the big picture, some could argue, this small colony is not that important. But to me, it really is. Not only because I care about the lives of my small neighbors, but I also lie awake at night worrying about the inevitable eventuality of not having any wild animals left at all, except in zoos, in the not-to-distant future – unless we continually re-evaluate our priorities for land use and work aggressively to protect quickly diminishing habitat. 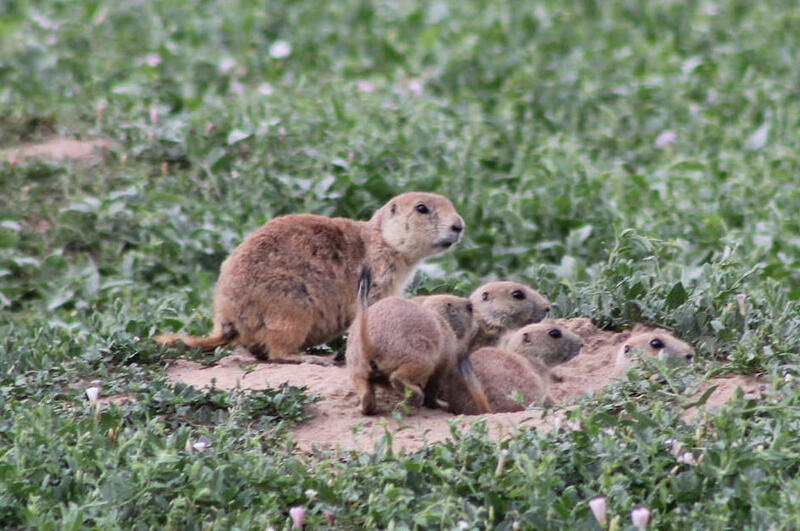 It’s one small prairie dog colony, but it’s one more among only a few remaining colonies. How far can we chip away at these colonies and habitats that support so much diversity before we find we’ve lost it all, waking up one morning with no birds singing, no prairie dogs whistling, no coyotes yipping; waking up one morning to find that we ourselves are the ones with no place to go. The Armory prairie dogs need our help. I believe it would be a travesty to kill off this small resilient colony that has already endured the devastation of all but a small square of its original habitat. I ask the City to honor its goal of establishing a thriving prairie dog habitat on a large block of grassland preserve, and to make re-locating the Armory prairie dogs there a priority so they can once again live freely and undisturbed. If we all work together we can influence the City Council to reconsider its priorities and make land available to relocate these prairie dogs before the developers kill them all. We only have a short time to make our voices heard. boulder@wildlandsdefense.org for more information or to offer your support. This is truly sad and disgraceful that humans do not wish to find a way to coexist with other species.